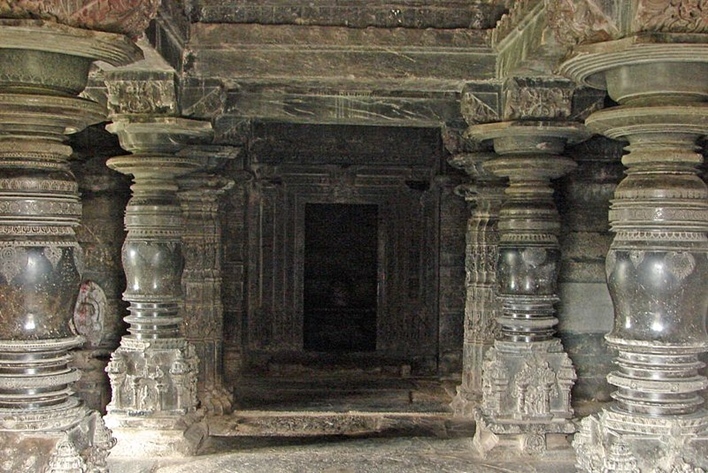 Kasivisvesvara Temple or the Kashivishveshvara Temple is located in Lakkundi, Gadag. It was a center of activity and culture development of the Western Chalukya Empire. The temple is on the banks of the River Tungabhadra. 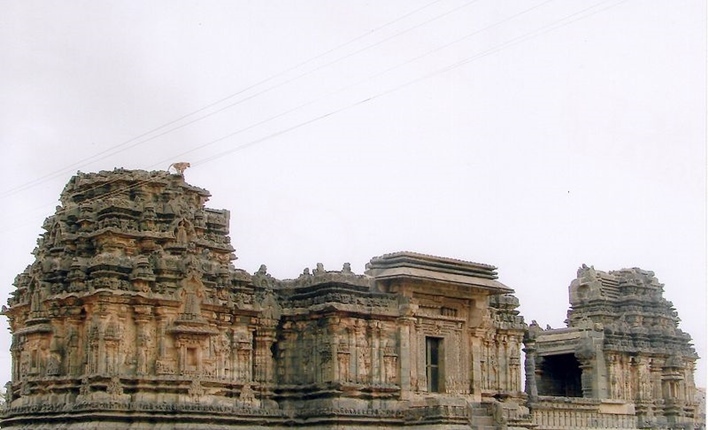 The region on the banks of the Tungabhadra is famous for numerous monuments that speak the medieval stories. The monuments existing in this place is a true depiction of the Dravidian temples. 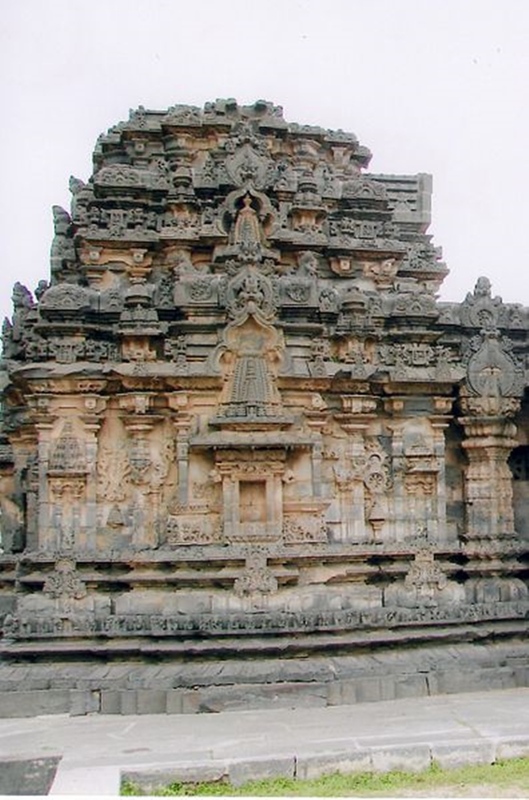 Kasivivesvara temple is one of the most ornate temples in the Karnataka region. The beams of the temple contain inscriptions that are dated back to 1087 CE, which implies that the temple has undergone various modifications from every era of rulers from Cholas to Chalukyas. The temple is a dual shrine or dvikuta, in which the one facing east is Lord Shiva in the universal form of linga and the other facing west is the Sun god. Festival: The Lakkundi festival which is an annual festival held in May every year. Kasivisvesvara, Lord Shiva towards east and Suryanarayana facing west, the temple has a unique plan. The Shiva linga is around three feet high from the sanctum and the Sun God faces west which is different from other Sun temples. The temple has very sharper and crispier stone plans and with perfect light and dark shades to the stone works. The arches, moldings and lintels and door jambs have enough carvings that depict the exemplary architecture of the Chalukyan era. The temple also has some mini towers which were Shrines or the deities depicting the influence of the architecture in northern India. The doorstep moldings and the doorways contain impeccable work of art and presentations that keep the art lovers busy. The pillars also contain many sculptures and artworks. The walls contain images of Lakshmi, Vishnu. The lintel contains an image of Gajalakshmi and elephants in the dedicatory block. The temple doesn’t have a kalasha, the finishing capping structure, yet the temple contains work that is indeed the depicting of expert workmanship. The polished pillars and the shafts are indeed an elegant work of art. 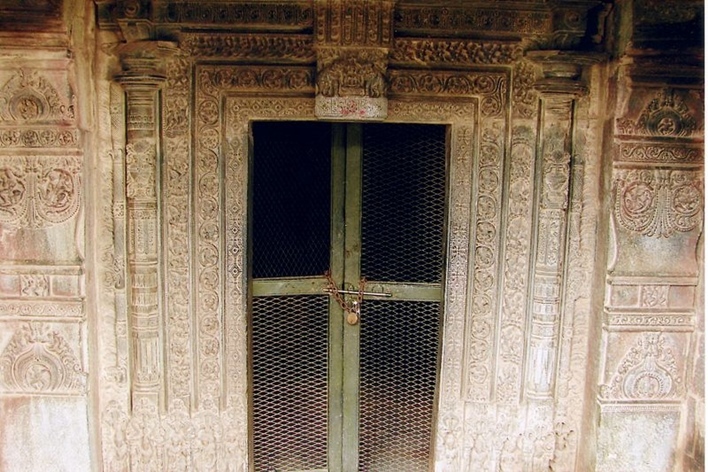 The walls and pillars are elaborately decorated with exquisite stone chiseling on the slabs of the windows are an excellent showcase of craftsmanship of the Chalukyas. The intricate architecture works are great additions to the temple. There are inscriptions on the ceilings that are dated back to the era of Vijayanagara empire too. The decorative moldings give the influence of the south Indian architecture and the overall structure is more of a kind of Northern style. The towers have decorative works with several niches. Hubli (69 km) airport is the closest airport to Lakkundi. Upon reaching Hubli, there are many buses or cabs plying to Gadag and Lakkundi. Gadag (12.8 km) is well connected to major cities in Karnataka via Road. From Gadag, one can hire a cab or even take up KSRTC buses to reach Lakkundi. Gadag (12.8 km) is the nearest railway station to Lakkundi. Tourists can hire a cab or taxi or even take up buses to Lakkundi once reaching.